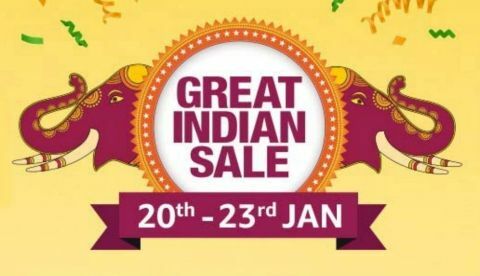 The Amazon Great Indian sale is about to end tonight and we have listed down the best TV deals that are currently going on the platform on its last day of the sale. The Amazon Great Indian sale is on its last day and this is your last time to grab the best deal on your favorite gadgets. The sale will end at 12 PM-midnight on January 23. Amazon has also partnered with HDFC bank and offering an additional 10% discount on making a purchase via an HDFC bank card. The offer is valid on EMI transactions as well. So, let’s begin. The Mi LED TV 4A Pro comes with a built-in chromecast and Google voice search feature that lets you find content on your TV easily using voice command. During the sale, it is available at a discounted price of Rs 29,999. Check out the deal here. The LG 43-inch 4K UHD LED Smart TV offers a resolution of 3840 x 2160 pixels. As it is a smart TV, you have access to number of apps such as Netflix, Youtube, Hotstar and more. At the sale, one can get this TV for Rs 45,990. Check out the deal here. The TCL 55-inch 4K UHD LED Smart TV is now available at a discounted price of Rs 43,990. You can also get an extra 10% discount on making payment through an HDFC card. Check out the deal here. The Samsung 49-inch full HD LED Smart TV offers a resolution of 1920 x 1080 pixels. The TV was launched in India at an MRP of Rs 76,990. At the sale, you can get this TV for Rs 45,990. Check out the deal here. If you have a limited budget and you’re looking to buy a smart TV then this might fit the bill. This 43-inch Mi LED Smart TV offers a resolution of 1920 x 1080 pixels and comes with a built-in Wi-Fi that lets you connect the TV to your home network. During the sale, it is available at a discounted price of Rs 22,999. Check out the deal here.